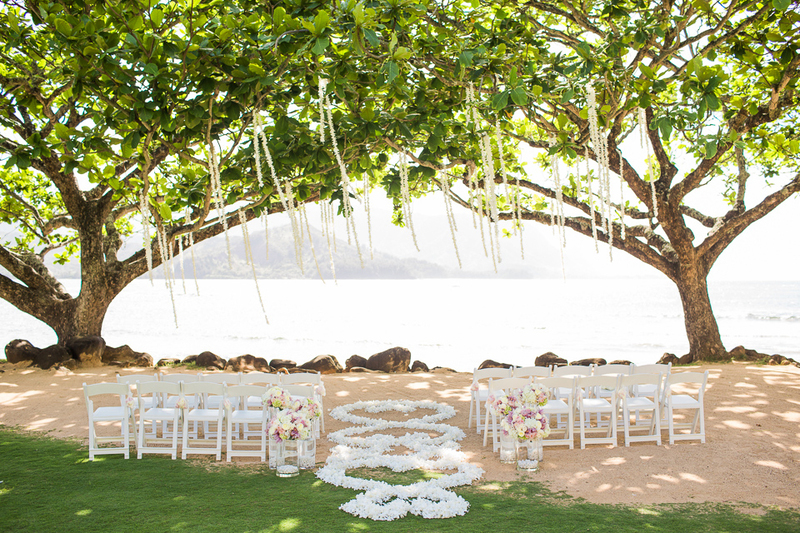 This beach wedding on the island of Kauai was a breath of fresh air for this Colorado couple. It didn't take long after Adam popped the question for them to both decide on tying the knot in a place where they both had travelled together a year earlier. They fell in love with Kauai for its laid back charm, inarguable beauty and authentic Hawaiian lifestyle. Their view during the ceremony overlooked the serene Hanalei Bay, where their close family and friends gathered underneath a grove of trees near the shoreline. 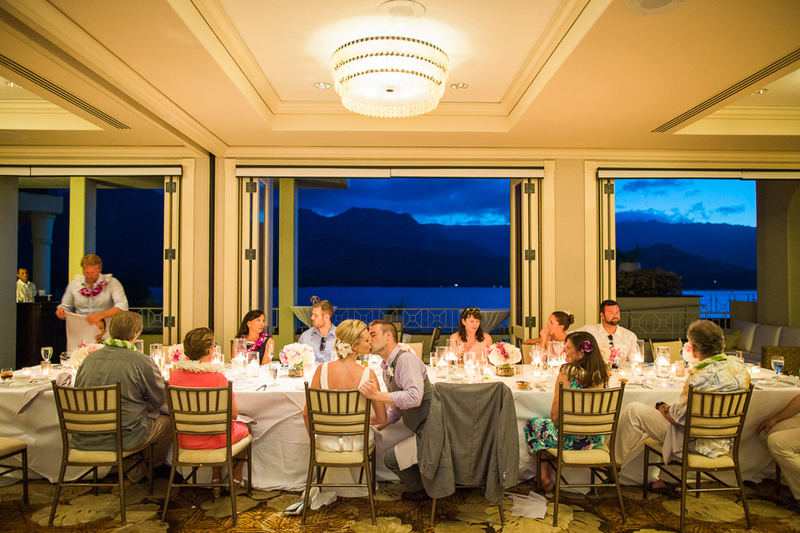 Their venue at St. Regis Princeville was very accommodating as it provided the couple with nearly everything they needed for their intimate destination wedding. After the ceremony, the guests indulged in a variety of mai tais for cocktail hour, followed by dinner and dancing in a suite on a beautiful cliffside overlooking the bay for a perfect sunset view. After returning home from the Hawaiian island, the newlyweds hosted a gathering for the rest of their friends and family who couldn't make the trip, where our Bliss bride got to wear her gown for a second round.